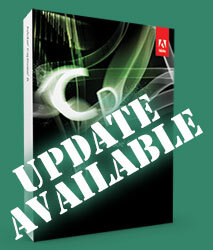 Update for Adobe Captivate 6 available now! We have released an update for Adobe Captivate — version 6.0.1 (Build 240), which is available for download through Help Menu > Updates… This is available for Windows as of now, we will have the Mac version soon. A bunch of key issues are addressed through this update including the following fixes. Output from Trial version – Before this update, content created through trial version of Adobe Captivate 6 would expire in 30 days from the project creation. With Adobe Captivate 6.0.1, the published outputs will expire in 30 days from the date of Publishing. Prior to this update, the learner had to click on the slide to enter text in TEBs or invoking click boxes through keyboard shortcut. This update fixes the TEB click issue. When slide transitions were used, Adobe Captivate projects and audio in version 6 were known to pause randomly. Audio was sometimes out-of-sync and Show/Hide of objects may not have worked as expected. These transition related issues are fixed with this build. Using version 6.0, iOS browsers could crash if an HTML5 course contained slides with large number of assets or if users were accessing a ‘heavy’ course from a SCORM-based LMS. The 6.01 Captivate update fixes these issues related to memory management of numerous or heavy objects in iOS HTML5 publications of Captivate projects. Multi-slide synchronized videos in SWF outputs no longer flicker while transitioning between slides with videos on them. Audio in Adobe Captivate projects now appropriately synchronize with slides on iOS6. Using version 6.0, Microsoft PowerPoint slides that were imported into Adobe Captivate and published to Flash SWF files could flicker between slides. This 6.01 update fixes the slide flickering issue for imported PowerPoint slides. When projects with video recordings (recorded using the additional recording option) were included in an Aggregator project using Captivate 6.0, only one of the videos played in the published output. The 6.01 Captivate update enables multiple videos in Aggregator projects. Does anyone know if the Captivate 4.x to 6 upgrade is still available? Our school seems to have recently found this lost software and what it can do but the version 4 will not work with Flash 18. Any help will be greatly appreciated. I would like to take my Captivate MP4 files and create a PDF file, is there a way to do this? I purchased a Captivate 6 that had some problems. Fixes for the problems now exist. But I can’t access the fixes without paying for some other product (ASA/subscription). Doesn’t it seem backwards to anyone else that the recipient of a defective product is responsible for paying to fix it? I purchased and have problems. I am an intern at work and cannot get a subscription changed from the previous intern. They could sell more with good customer service. downloaded the patch, but the slides still flicker. This project is from an imported PPT. How could Adobe overlook this issue again? I’m evaluating this and have two problems I can’t seem to solve: 1. I cannot get alternate reporting (internal server) to work in any browser other than IE9. 2. I cannot import a video into my CP project; I’ve tried AVI, MP4 and MOV formats. Can anyone help? Support has been only sporadically responsive. I applied this update, but it still isn’t working. My intermittent audio problem on each slide is connected with the text animation settings. This is posting to facebook today but reefers to October ???? Is there another update ?? Quiz slides (particularly True or False) still pause randomly despite this fix. Multiple Choice questions also pause randomly. Any ideas how to get around this? I can not get any of my text captions to work. I recently upgraded from 4.0 to 6 and created a new module but it doesn’t work no matter what I do. I have re-downloaded 6.0 and the patch to no avail. Anyone else having problems? My module is very simple so I don’t understand why I can’t get it to run. I have figured out that my timeline isn’t working. If I have any delay for any captions or photos or anything, they won’t work. But if I start them at the very beginning of the slide they work. Has anyone else run into this problem? Thanks! Am trying to apply this update – hoping it will solve some show-stopper issues I’m having – but the Update item in my Captivate Help menu is greyed out. I have completed the Complete/Update Adobe ID forms multiple times thinking that might be a hold. I am on version 6.0.0.199. Any suggestions? Are you able to insert the text caption? If so, are you able preview it when you hit F4? If not, please email me at viswanat@adobe.com and we could investigate further. I am having the same issue. My updates selection is grayed out and I am running Captivate 6.0.0.199 also. Is there something I can run to enable the selection? WOOO!!! This should fix the issues I’m having with my HTML5 game (#4 & 6). Fade transition when applied to imported .ppt slides is now smoother – but it flashes up the slide with all the builds in place and then fades to the first state of the slide. (ie no builds yet). So it kind of ruins the point of having the slide build. I’m checking into it. Can you try ‘Force Republish all slides’ for me. Also if you send the project in question to wish-captivate@macromedia.com it might expedite a solution. Thanks Allen – I tried force republish but it didn’t change anything. I need to revert version quick – any ideas? If you email me at allenp (at) adobe (dot) com I can assist with this issue.